Trustmarque were able to analyse previous usage for the Trust, align that to the EWA licences and provide all available cost options using the new discounts and all licensing metrics. It was crucial to ensure that Sussex Partnership was adequately and legally licenced in respect of their current holdings, as well as establishing appropriate arrangements which fully aligned to their IT transformation programme. Trustmarque’s Virtual Asset Manager (VAM) service takes the hassle out of asset management, inventory collection and software licence reconciliation. Over the course of the three-year service, Trustmarque will manage inventory for the Trust, providing ongoing compliance and licensing management guidance in addition to regular on-site reviews. With Trustmarque’s help, Sussex Partnership will be able to constantly optimise their licence management, reconciling licences against installed applications and reporting on potential non-compliance. The provision of managed service and strategic software partnership by Trustmarque is of vital importance in an increasingly complex industry, and a burden lifted from the Sussex IT team, who could then focus on their critical transformation programme. The Enterprise Agreement (EA) Managed Lifecycle service is a comprehensive solution provided by Trustmarque, providing the Sussex Partnership with resources, guidance and licensing advice over the course of a three-year period. The EA Managed Lifecycle service provides an enhanced level of expertise over and above the standard service that the majority of licence resellers provide. Come the end of the agreement, Trustmarque will undertake a comprehensive review, working with the Trust to analyse short- and long-term licensing strategies and ensure that Sussex Partnership is in the strongest possible position when deciding on the way forward. Previously, Sussex Partnership used Microsoft’s System Centre Configuration Manager to track software across the Trust’s PCs. Now the Trust has aligned the Snow platform and the VAM Service with procurement to ensure that they have full visibility of all software being purchased and used within the IT infrastructure and have confidence their software licensing is being tracked much more efficiently. With the increased visibility afforded by Snow Licence Manager, Sussex Partnership has significantly reduced redundancy within their systems. Having access to an up-to-date, comprehensive system for inventory as part of Trustmarque’s VAM service has allowed the Trust to optimise licensing and reduce the amount of old or inappropriate software installed on their PCs. The Trust has invested significantly in new technology, with the goal of improving on overall cost efficiency in the longer term. Using Trustmarque as a ‘credible partner’ to give the best advice for the technology and associated licensing, the Trust are keen to maximise their investment, particularly in areas such as Microsoft’s Lync, which is one of many critical elements that underpin wider organisation changes, and hence support delivery of the Trust’s strategic objectives. As part of the VAM service, Sussex Partnership will be able to consult Trustmarque on currently deployed assets, as well as any future investments for the IT estate. By ensuring that all current installations are fit for purpose, the Trust can drive efficiency and simultaneously pave the way for innovation in the future. The current agreement spans three years, reflecting the Trust’s confidence in Trustmarque’s capabilities, as well as their commitment to technological excellence. 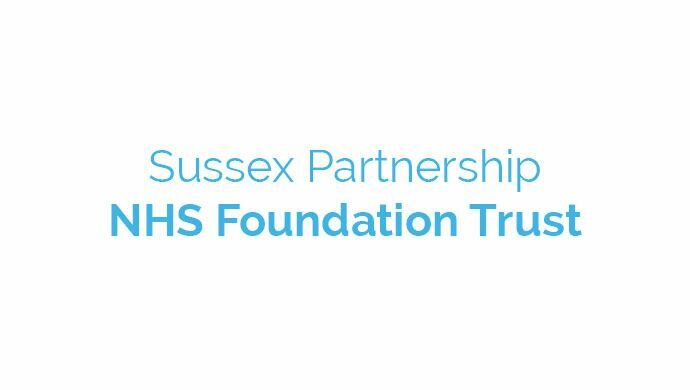 Sussex Partnership NHS Foundation Trust employs 5,000 staff and provides mental health, learning disability, substance misuse and prison healthcare services throughout Sussex, supporting the provision of specialist services across the South East of England. As a teaching trust of Brighton and Sussex Medical School, Sussex Partnership is increasingly developing a reputation for cutting-edge research and is one of the few mental health organisations to have been granted university status by the Association of UK University Hospitals. Having worked with Trustmarque previously, the Trust’s IT leadership management turned to us again to provide assurances in respect of compliancy, while also ensuring the Trust avoided being over-licensed. Additionally it was important for the Trust to draw the professional expertise of the consultants here at Trustmarque which it would be impracticable to employ directly at the Trust. workshops ensure that the necessary skills to use the SAM system are provided to on-site staff. Looking to learn more about VAM?